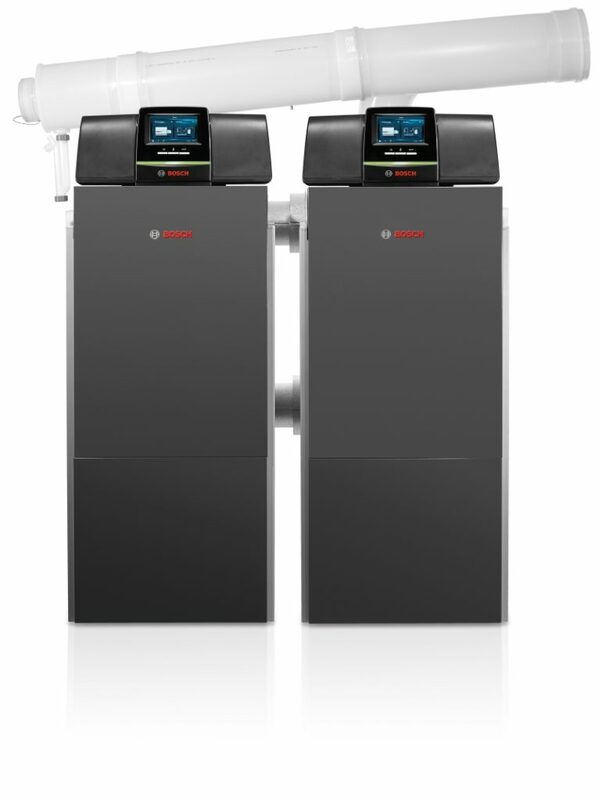 Bosch Commercial and Industrial has developed a new mid-range commercial boiler, designed to dramatically cut the cost and complexity of installation. The Condens 7000 F, which is available in four output models ranging from 150kW to 300kW, can be installed without the need for ancillary equipment such as a low loss header and primary pumps. 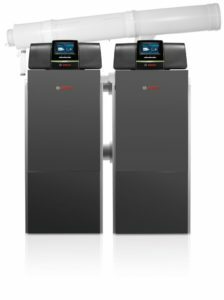 In effect, the Condens 7000 F offers the ease of installation of an older non-condensing boiler, with the vastly improved performance of a state-of-the-art condensing system. 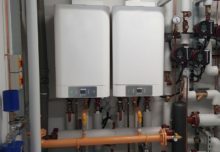 The latest development means that heating engineers benefit from a lower cost system and reduced installation time, making the boiler perfect for both new and replacement scenarios. The simplified system design has been made possible by major advances in heat exchanger technology. Optimisation of the waterways and flue has led to reduced resistance, while low water content aids heat transfer. As a result, flow temperatures of up to 95°C can be maintained, without the need for additional pumps and a low loss header. In addition, the maximum Delta T has been increased to 50°C, with no minimum flow requirements; aiding efficiency and reducing heat losses. 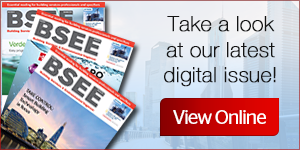 With the added benefit of a 6-bar maximum pressure, the 7000 F is well suited to heat networks. The new boiler is one of the first to be manufactured to the new EN15502 standard and has many of the safety features normally associated with higher capacity systems. 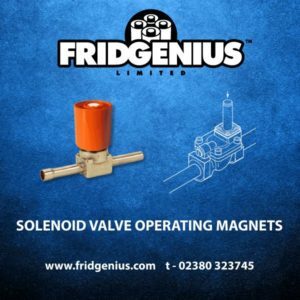 These include an increased number of pressure switches and gas valve proving on all models. As a result, the 7000 F will help to futureproof for changes to building regulations and can be installed in higher-risk applications. The new unit also benefits from an extremely small footprint, standing at just 0.61m2 for the 150kW model, and 0.88m2 for its 300kW equivalent. With a lift weight of between 117kg and 178kg and available in both left- and right-facing models, the Condens 7000 F can be installed in a cascade to achieve outputs of up to 600kW. The new system is also fully compatible with Bosch Commercial & Industrial’s Control 8000, which makes it possible to manage multiple plant rooms remotely, via a computer or tablet from anywhere in the world. Alternatively, the unit can be integrated into an existing building management system (BMS) through Bosch’s simplified MX25. The improved system design means that the boiler can be installed as a replacement to non-condensing systems in all scenarios. The unit operates at a seasonal efficiency rating of 96.5% to 97.1% across the range. The 7000 F also has a wide turndown ratio of 1:6 to better cope with lower heating requirements and avoid cycling. As a result, end-users benefit from a highly efficient, durable system. Shaun Mansbridge, Business Development Director at Bosch Commercial and Industrial, comments: “With the 7000 F we’ve been able to combine the simplicity of installing a non-condensing boiler unit, with the high efficiency and improved functionality of condensing technology. By focusing our attention on significantly improving the heat exchanger, we’ve eradicated the need for low loss headers and primary pumps, reducing whole system costs and cutting the complexity of installation. For more information on Bosch Commercial and Industrial and its range of heating, cooling and hot water technologies, please visit www.bosch-industrial.co.uk or call 0330 123 3004. Alternatively, follow Bosch Commercial and Industrial on Twitter (@BoschHeating_UK) and LinkedIn (Bosch Commercial and Industrial UK).